If you want to succeed, you need to know what success looks like. Often we define success in relative rather than absolute terms. For example: "success is earning $100 a month more than your wife's sister's husband", "success is being the best...", "success is winning". But this puts our ambitions into the hands of others, since their actions determine whether we believe we have succeeded. So if your definition of success involves a competitive comparison rather than an absolute result, it's very important to think about how you choose to define your competition. For example, for most of us it is unrealistic to aspire to be the best high jumper in the world, though we might reasonably aim to be the fastest swimmer in our local pool. More significantly, if you are setting goals for your company or team, it's useful to choose a challenging achievable target rather than a fantasy one ("we want our sales to rise faster than any other seller of x in our domestic market" rather than "we want to top the FTSE100 by the end of the year"). Not long ago, I was walking on a public footpath near Plymouth when a 4x4 drove up. The driver was clearly checking on me, and explained that he was the local gamekeeper. I took the opportunity to ask him about the local wildlife, including whether there were any deer on the land he looked after. 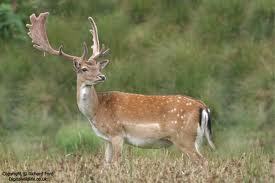 He explained that there were plenty of fallow deer on the estate, especially now he had stopped the poachers. Since the estate was clearly very large, I asked him how he had stopped the poachers. His explanation was very simple. He told me that in the past the deer on the estate had frequently been chased and killed by dogs brought by poachers based in Plymouth. One afternoon, he was out checking some pheasant pens when he saw a group of people with hunting dogs walking across one of his fields, away from the public footpath. The dogs were on long leads but he felt confident that they would soon be released to hunt. Considering his options, he decided that calling the police would be fruitless, since he expected that even if they arrived in time to challenge the poachers, there was unlikely to be any useable evidence and they would escape with a warning, and return at their convenience. So he decided on a different course. He was 300m from the poachers and they had not seen him. He took his hunting rifle from his car and carefully lined it up with one of the hunting dogs. He shot and killed the dog, with the bullet passing close to the group of poachers, though he was later able to justify it as a safe controlled shot. In the ensuing fracas, the police were called, but by the poachers rather than the gamekeeper. As he sat in his car, calmly explaining this story to me, I asked him why he chose to do such a reckless thing. He pointed out that he realised he was not trying to compete with the poachers - he was trying to compete with other nearby gamekeepers. He needed word to get around the poaching fraternity that he was crazy, so that they would concentrate their activities safely out of his range. He regretted shooting the dog, but pointed out that hunting dogs were killing dozens of deer, and that after this incident, poaching immediately stopped on his land. Choosing how you define your competitive set is not just a matter of identifying a recognisable set of peers - it may involve a different perspective altogether. It may be that the really important competition is not the obvious one. For example, perhaps rather than looking at the growth of profits you should consider the threat posed by specific skills shortages leading to competition for key staff with companies active in very different markets. Of course while competitive pressure can help to motivate and drive innovation, it's perfectly legitimate to define success in terms of absolute outcomes too. While some teams define success as being the best, others may have a specific object such as curing a disease, or completing a project on time and within budget. Either way, wisely defining what success is - the goal of the team's efforts - is essential.